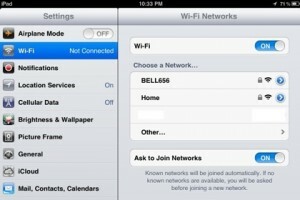 On this post, I’ll explain you how to connect your iPad to a Wi-Fi network at home, a coffee shop, library, university campus, etc. 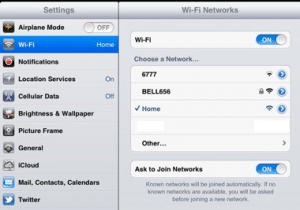 Assuming those networks are connected to the Internet, your iPad will gain access to it once the Wi-Fi connection is established. 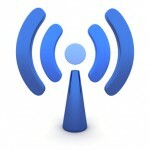 It is important to understand that Wi-Fi connections can be Unsecured (no encryption) or Secured (encrypted). 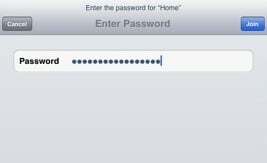 Most likely your network at home will be of a Secure type and will require a password to connect to it. Other networks, like the one at a coffee shop will be most likely unsecured but may require an extra step to login. 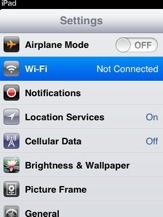 On your iPad, from the Home screen tap on the Settings icon and then tap on Wi-Fi. Select the network that you want to connect to (in this case “Home”). Notice that the Home network does not display a padlock next to it. This means the network is not encrypted. That’s it. You are connected to the unsecured network and you should be able to browse the Internet, check your emails, etc. In a similar way you can connect to a Secured network. Tap on Settings and then tap on Wi-Fi. Select the network that you want to connect to (i.e. “Home”). Notice that the Home network displays a padlock next to it. This means the network is encrypted. Once you are done entering your password, click on the “Join” button on the upper right corner. iPad will connect to your wifi and you’ll be able to navigate the Internet, check emails, etc. Usually the steps are the same as when connecting to an unsecured network but there might be an additional step at the end. Select the network that you want to connect to (i.e. Coffee shop name or library name). Depending on the network configuration, a popup “Log In” page may appear requesting you to agree to the Terms of Service. If you are ok with them, you may click on the connect button. A few moments later, your iPad should connect to the public network. I would love to hear your comments. You can enter them on the comments form below.